A Strategy for Application Portfolio Optimization - Infosys Consulting - One hub. Many perspectives. 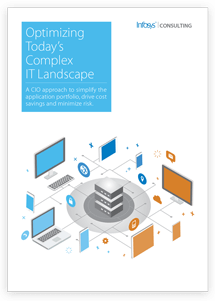 A CIO approach to simplify the application portfolio, drive cost savings and minimize risk.